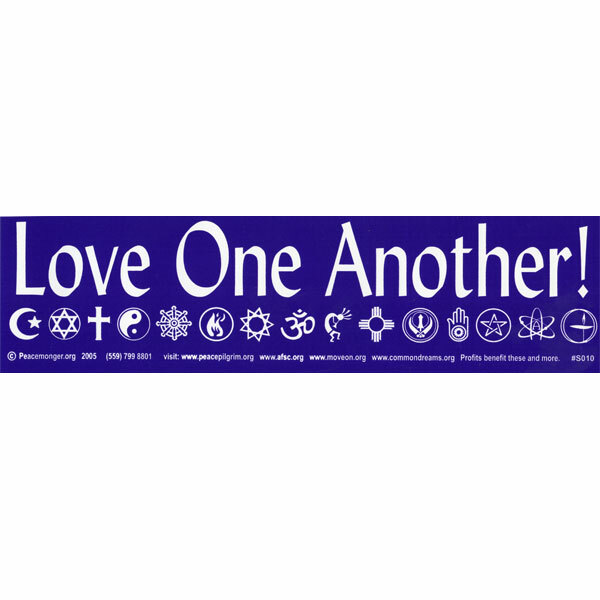 This original sticker features the message "Love One Another" prominently above our signature set of 15 interfaith religious and spiritually inspired symbols. Jesus Christ was credited with this message in the New testament, as were countless other prophets throughout human history. It is as timeless as it is simple in it's obvious intention. 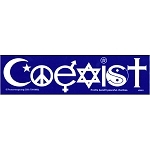 We do our best to practice this simple message of truth and hope our products inspire others to do the same.